The 20/21 British Art Fair, is to be rebranded as The British Art Fair and move to the Saatchi Gallery, as part of a major investment by its new owners. 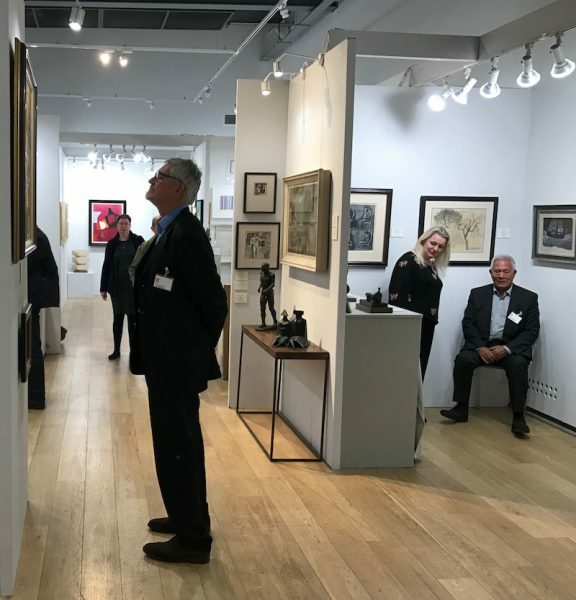 The 30 year old fair, which specialises in Modern and Post-War British art, was acquired by Robert and Johnny Sandelson who have ambitious plans to breathe new life into the event and to build the brand globally. To be quite frank, the fair has been looking quite tired for the past few editions, following their departure from the Royal College of Art, Kensington Gore which housed the fair for many years. The first fair was held at the Cumberland Hotel and one memorable edition was mounted at the Commonwealth Institute, now the new Design Museum while renovations to the RCA building was undertaken. Last year the fair was crammed into the compact Mall Gallery, not an ideal venue for an art fair. The Sandelsons’ first initiative has been to secure a permanent home for the fair within the world-famous Saatchi Gallery which occupies an entire 70,000 sq. ft. building in London’s Chelsea. Robert Sandelson said that the revamped fair would continue to be priced competitively against other major fairs. The brothers have a long association with art and have dedicated the 2018 fair to their late father Victor, who was both a collector and arts journalist, and their mother Bernice who ran Montpelier Studio and exhibited at the very first fair in 1988. The deal, on a much smaller scale, is the latest in a series of large transactions in the art market including WME-IMG’s investment in Frieze, and the acquisition of a majority stake in Masterpiece London by MCH Group, the parent company of Art Basel. The fair will keep its focus on quality British Art, but will be more flexible in its datelines. “The gallerists may be of any age or nationality, but the art will only be British.” The event will also offer dedicated single artist projects in the generous spaces available at the Saatchi Gallery. The Sandelson brothers also have plans to encourage participation by younger galleries and to take the fair to New York where interest in British art remains high. Nigel Hurst, Gallery Director & Chief Executive of the Saatchi Gallery, said: “We’re delighted to be working with the British Art Fair and helping them provide the high-profile platform British artists and their galleries deserve at the Saatchi Gallery this September.” The news has been welcomed by leading London art galleries including Richard Green, Jonathan Clark Fine Art and Offer Waterman. British Art Fair founders Gay Hutson and Angela (Bunny) Wynn said they were delighted to hand over to the Sandelsons. “We’ve spent 30 years building the reputation of British art, but we are happy to pass on this responsibility to the Sandelsons who have a fresh energy to take the fair forward for another 30 years,” they said in a joint statement. The British Art Fair has specialised exclusively in modern and contemporary British art. It was founded on the premise that Modern British art (with the exceptions of Henry Moore, Francis Bacon, Lucian Freud and Ben Nicholson) was undervalued and needed a flagship. At that time the market for international modern art was booming and British art was gathering momentum in its slipstream. The age-old inferiority complex about the superiority of French art and, more recently, American art, was disappearing and the art schools were turning out the artists who became the YBA movement, headed by Damien Hirst and his contemporaries.